…reading had probably a different significance for me from that which it has for the average run of our so-called ‘intellectuals’. I know people who read interminably, book after book, from page to page, and yet I should not call them ‘well-read people’. Of course they ‘know’ an immense amount; but their brain seems incapable of assorting and classifying the material which they have gathered from books. They have not the faculty of distinguishing between what is useful and useless in a book; so that they may retain the former in their minds and if possible skip over the latter while reading it, if that be not possible, then–when once read–throw it overboard as useless ballast. Reading is not an end in itself, but a means to an end. Its chief purpose is to help towards filling in the framework which is made up of the talents and capabilities that each individual possesses. …the material which one has acquired through reading must not be stored up in the memory on a plan that corresponds to the successive chapters of the book; but each little piece of knowledge thus gained must be treated as if it were a little stone to be inserted into a mosaic, so that it finds its proper place among all the other pieces and particles that help to form a general world-picture in the brain of the reader. Otherwise only a confused jumble of chaotic notions will result from all this reading. That jumble is not merely useless, but it also tends to make the unfortunate possessor of it conceited. …On the other hand, one who has cultivated the art of reading will instantly discern, in a book or journal or pamphlet, what ought to be remembered because it meets one’s personal needs or is of value as general knowledge. What he thus learns is incorporated in his mental analogue of this or that problem or thing, further correcting the mental picture or enlarging it so that it becomes more exact and precise. Should some practical problem suddenly demand examination or solution, memory will immediately select the opportune information from the mass that has been acquired through years of reading and will place this information at the service of one’s powers of judgment so as to get a new and clearer view of the problem in question or produce a definitive solution. Only thus can reading have any meaning or be worthwhile. I think you will find that most of the following things are common sense. But few people seem to be actually applying it. To describe what something is, it’s often easiest to start by giving some contrasts of what something is not. Casually reading magazines, Internet forums, fiction, detective novels, girly romance books, and other easy-to-read books that provide no real knowledge. How much meaningless information you can memorize. There is little use in knowing the birthdate of J.K Rowlings or what Harry Potter’s middle name is. That stuff might give you an edge in some dorky quiz show on television, but not in real life. Your reading speed. It doesn’t matter whether you are the world’s quickest reader if you aren’t able to remember any of the information. To clarify; I am not badmouthing the skill of quickly skimming through texts – that is a useful thing to be able to do; what I do mean is that speed reading is vastly overrated — at least if you don’t retain the information. To read optimally you need to understand that reading is probably the most important tool at our disposal for gathering and learning new information. But like any other tool, it needs to be directed toward a specific goal or its use will be haphazard. Knowing what sort of books you want to read in order to get closer to your goals in different areas of your life. Keep a categorized book list and update it religiously. Categorize it in accordance with the fields of knowledge you are interested in improving your competence within. Reading just to gain random information is not an end in itself, limit most of your reading to a few niches that you want to get good at. Being able to efficiently memorize useful information and having the ability to quickly bring it up in relevant situations to aid you. Useful information is anything that can be applied practically in your life and get you closer to your goals; it’s about understanding the implications of the information you take in. Don’t memorize the plot of a book, focus on understanding the moral of the story. Becoming inspired and getting ideas. If you are able to get even a single new cool idea from reading a book it is a book well worth the read. When the Nazis started keeping concentration camps and burial sites secret by killing the Jews who did the construction work, they got the idea from books on Egyptian slavery. Did you know that? Reading challenging books that improve your understanding. Improving your ability to focus and to activate your brain. Make it a point to read with intensity of focus. Approach reading the same way that you would approach the gym – to exercise your body. Except for reading it’s the mental muscles you exercise. Do not read aimlessly as the masses do. Read to solve a problem or answer a question you have. If you want to become a skilled leader it would make sense for you to find the best books within the field of management and leadership. You would read books from authors such as Peter Drucker. If you want to study the characteristics and personalities of some of the most successful human beings who ever lived, you must read their autobiographies. And to get a less subjective view you must read biographies written by other people. If you want to learn how to write well it makes sense for you to read the classics and the books about the craft of writing. Start taking notes immediately. Ask yourself: is the information I’m reading now worth memorizing? If so, write it down immediately. You want to start the process of taking notes as soon as possible even when you don’t feel like it. The mind will come up with excuses not to do this because it wants to conserve energy. It takes less energy to continue reading than it does to interrupt the reading to take notes. The mind will tell you that the information is not quite worth writing down, simply to keep you from starting the note-taking process. But remember, repetition is the primary tool for learning. Don’t fight your interests. Always be on lookout for interesting information. If you find something interesting, regardless of what it is, it is a sign that you want to learn this information. Those who fight their passions and interests become dull and confused in the long-term. Don’t fall asleep. You can be reading for five hours a day but it won’t make much of a difference if your focus is off. Almost every time you “fall asleep” and lose focus it is because you forgot why you were reading. Keep your purpose in mind at all times. Ask yourself constantly: Why am I reading this? Know what to look for. If you don’t know what to look for you will filter out most of the information and you will quickly forget it. The brain takes in enormous amounts of information for every second that passes but we are only consciously aware of tiny speck of this information. Compare what you are now reading with what you already know. The brain learns mainly through associations. Make a deliberate decision to improve this faculty through practice. Ask yourself: how does this information fit in with what I already know? Do this a lot and you will start to find many similarities between seemingly in disconnected fields of knowledge. If you thought the book was interesting or useful, read its quoted literature. A good example of this could be if you decide to read a biography about Napoleon Bonaparte, and then read biographies of Fouche and Talleyrand. Or if you read about Hitler and then read about Göring and Himmler. That way you a clearer view of what actually happened. This is particularly necessary when it comes to biographies or history, because authors within those fields tend to be very subjective (read: fanboys) in their narration of events. Jot down new words or phrases you come across. You’re bound to come across a lot of new words and expressions that you do not understand when you read a lot. List these things in the back of your journal and look them over to make sure that you know their meaning the next time you come across them. Re-read great books and review your notes every once in a while. Repetition is key to retaining the important information you read. This can be a good idea not only for the sake of memory, but also because you will likely view the notes, quotes, or text differently than you did the first time you read it as your life changes. In reading this post you probably learned something new – something that was interesting. Write it down NOW and put it to use the next time you read! Question: Why are you recommending to ask questions or to do other “distracting” things while reading? Won’t that impose on the efficacy or enjoyment of the reading process? Answer: First of all you need to get clear about why you read. Is it to enjoy yourself or is it to learn things? Secondly, yes it will probably reduce your reading speed as well as your enjoyment at first. But it is a price worth paying in the long-term. Once you have practiced these things for a while you start to do them habitually, and then it stops being a hindrance to the reading process. Consider these questions and exercises as mental muscles that need to be practiced just as if you were lifting weights or running. Knowledge is power — but only if you can apply it practically in your life. How to Read a Book, Mortimer J. Adler. A cool video by Rich Schefren about his process for “reading”. Highly interesting, but not of practical value unless you are somewhat rich. If you start experimenting with the things you learned here leave a comment and let me know how it worked out for you. Also, if you are using, or know of, other great ways of becoming a better reader I would be very interested in learning what these things are. After reading this article and doing a bit of research on other topics, I subscribed to read Ludvig’s book; finding this site and taking the time to dive in is the best decision I’ve ever made/stumbled upon/followed through with. I had a lot of good thoughts, I simply lacked a platform that was simply laid out as well as contained a load of cross references. Talk about kick starting you’r best assets! Awesome that you’re learning things, and reading books is certainly important in that. As for having a platform, I agree with you 100 %. Interesting to see that I’m not the only one who has read Hitler. 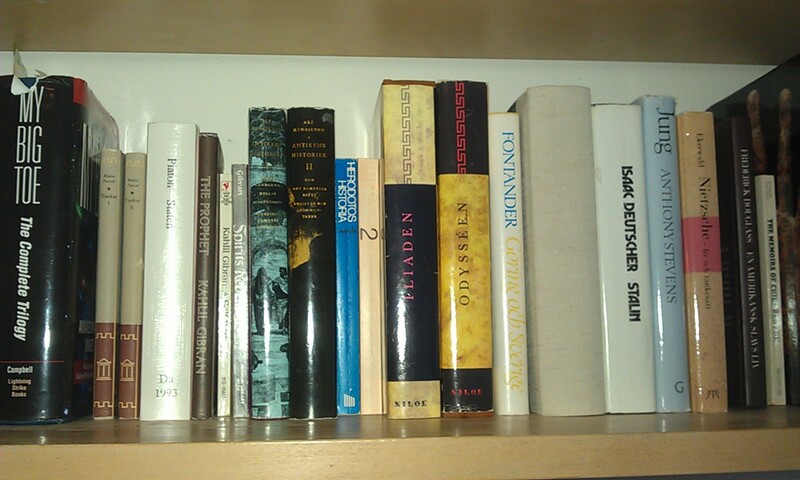 Anytime I mention reading Mein Kampf, people freak out and think I must be a Nazi. For most people, reading (if they read at all) is a kind of entertainment or ego reinforcement, not a source of growth and information. Why would they read an author they disagreed with, when they already know what to think? I’ve read authors from Marx and Lenin to Hitler and Rand (and many others I don’t agree with), and learned something from all of them. One thing that really impressed me about Hitler was his remarkable mastery of persuasion. Mein Kampf includes a great deal of real wisdom, some of which was and is widely acceptable to the mainstream. Anti-Semitism and other controversial ideas are worked in smoothly and subtly, so that the average not-very-discerning reader could absorb them without quite realizing how and why. I know I’m gravedigging here, but Ludwig it serves you right for writing an interesting article and not telling me about it sooner. Same here. People are too sensitive. They care more about being socially correct than they do about making progress and learning things. –> Really agree on this. —-> Yes. I thought it was particularly interesting when it comes to differences between an author/writer and a speaker. Though Hitler probably considers both of these people do write or speak for political reasons, I think many of the arguments he states hold true in other circumstances. For example, the speaker can adapt much quicker to the feedback of his audience than the writer can. Thanks for the great comments Abgrund. You said a lot of smart things in the post at BoldandDetermined as well. I knew that you had read How To Read a Book after I saw your post. Nice stuff. Regarding the question you have in the conclusion, based on the How To Read a Book, he said about superficial reading and I think it answers the question. Distracting things such as asking question, I believe, is meant to do durin g the second reading. When we read the first time, just read and get the whole idea about the book. Then, we read with the intention to ask questions and other intellectual stuff. Very Interesting hitler quote. I had no idea he was an avid reader. I guess what ill start doing now and practicing more is to write more as i read, so that i memorize more of it. Yeah I didn’t either 6 months ago. You live and you learn! Very interesting video about Rich Schefren’s reading process. How the HECK did he come up with that!? The guy is really smart though, I suggest you watch some of his other talks on youtube. Long, but good read. Definitely helpful. But I like and agree with whwat you say about ITS MORE IMPORTANT TO REMEMBER than to go through quickly. Glad you thought it was helpful. Regarding memory: Yeah… How much do most people really remember from school? Probably not that much because they just skimmed the information because they were forced to – then they spent the rest of their time on something they thought was fun. First of all “Mabrouk” for your new website, the design is very well done. Second, these tips and admonitions don’t really pertain to common sense as you said. I used to think that they do because they came naturally to me, but as I met more and more readers and observed their behaviors, I realized that most people read frivolously, caring only for “flashy” or blatantly scandalous elements of the book. Forget “the birthdate of J.K Rowlings or what Harry Potter’s middle name is”, some can’t even remember the author’s last name. They read novels like they watch Mexican soap-operas and essays (scientific, historic, literary etc.) like brief and insufficient documentaries. Thus, people need to be more serious to extract the revelations that another person’s point of view might bring about in a book. Furthermore, creating a network of knowledge –as you said– is the most appropriate way to cement any new shred of information, and is indeed the expression of intelligence as opposed to a mere accumulation of knowledge. For example, I usually read a book, then I either watch the film adaption and do some critical comparison (e.g. Anna Karenina, A Clockwork Orange) or listen to a musical adaptation (e.g. Janáček’s String Quartet No. 1 that was inspired by Tolstoy’s “The Kreutzer Sonata”) or compare it to another analogous work. In addition, if you really think about it, all intellectuals, writers, philosophers, artists etc. are prolific in their thinking, but only the ones that choose what is truly worthy of materialization and disregard what is not, can be called Intelligent or Genius. Choice is everything! One reason why I think re-reading or reviewing is good is because you are focused on different things at different times in your life. When you first read the book your brain’s reticular activating system (RAS – http://reticularactivatingsystem.org/) plucked out what was useful to you at that point in time. When I read and then re-read Michele de Montaigne, this was very noticeable! – In my experience most people don’t even read to begin with. Except those who read work-related stuff to gather information. Rapports and such, or papers. – Very true. I think this is exactly what is lacking E.G the academic world. Original thinkers and trust in one’s own faculties for deciding what is “good/cool/useful” and not. Your Process for learning is very cool. I occasionally do the same. Like when I studied Hitler recently and ended up watching all his speeches and Leni Riefenstahl’s “Triump of the Will”, trying to imagine what it was like to watch that movie during the Nazi Era. I, myself am being more “reactive” than “proactive” these days as I’m preparing for my first year at University. Since I start next week, and my schedule is really overwhelmed I might only drop the occasional comment here and there for a few months. Anyway, a separate post would be great, because the issue of re-reading (and its consequent findings) can handle a lot of development and not just in one aspect or domain. It might extend to the notion of repetition and constant research and review. This reminds me of a saying by Gaston Bachelard :”Celui qui a trouvé sans chercher est celui qui a longtemps cherché sans trouver”. Excuse my crude translation: “He who has found without seeking had long sought without finding”. And about Michel de Montaigne, we took many texts from his “Essais” in French Class at school. Once there was a tough, almost incomprehensible passage, that only required us to pay special attention to a single comma to make it clear. Our teacher had us dumbfounded when she told us! Such a detail can easily escape from an “RAS plucking” and cause difficulties later. And the contextualization that you sought after while studying Hitler really shows how committed you are to your work, and to revealing the real truth behind the subject. This is why Nietzsche detested “being quoted without context”; it would allow the reader to distort the meaning in an idiosyncratic way that would hide the truth. Re ad P.S. : Sorry, I have no idea. I think the only way is the hard way: to contact them individually, or through an e-mail blast. I’m attending my last year of university now. I figured you would be older; you’re quite well-read for someone just starting university. Regarding entire post: I have another post in mind later – about my framework for learning and repeating things. It includes a bit more than just rereading, I think you will find it interesting. But I will likely not publish it for at least a month. Thanks! I’ll be studying Mechanical Engineering. And, great! I can’t wait to read it.